From the creative minds of two love struck artists emerge the UGLYDOLL™ family! What started as a drawing of a playful orange character known as Wage™ has turned into a whole new world of fun! 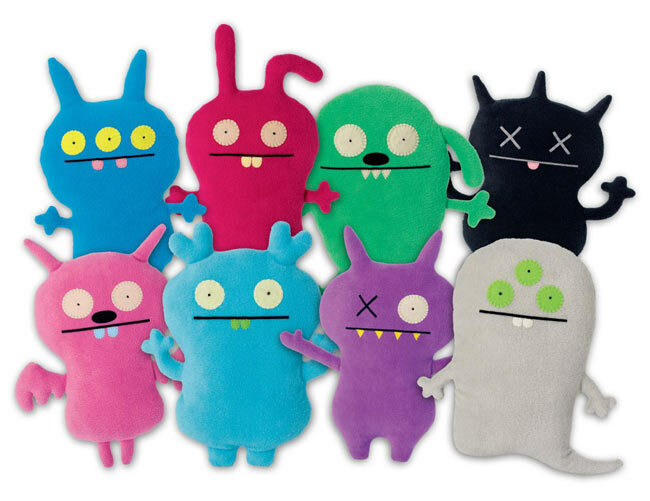 The award-winning UGLYDOLL plush characters are available in a variety of sizes and style each with their own distinct personalities. UGLYDOLL characters inspire creativity while reminding us that we are all unique in our own special way. In 2011, Universal Studio's Illumination Entertainment acquired the rights to turn the UGLYDOLL characters into an animated feature film! So exciting! UGLYDOLL™ 2012 FAMILY $6-$40 MSRP, 4 sizes available. 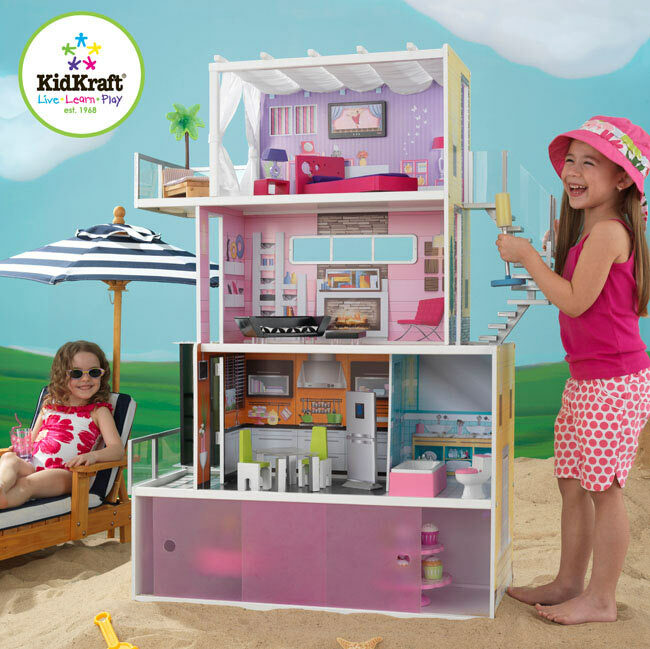 DALLAS, March 1, 2012 -- KidKraft, a Dallas-based children's furniture and toy manufacturer, unveiled its brand new Beachfront Mansion at the 2012 American International Toy Fair in New York. The Beachfront Mansion is a modern wooden dollhouse that provides young girls with a whole new world to play in, decorate and explore. It accommodates all fashion dolls up to 12 inches tall and is large enough that multiple girls can play at once. The fine folks at Mezco Toyz sent us a pile of keychains (the ones they handed out to booth visitors at Toy Fair!) to use in a contest! We had a poll on our front page, and you voted to make each item its own prize, to be awarded to a separate winner. After seeing that and realizing that we would have to pick six winners and mail out six prizes, we figured that a few more wouldn't be too terribly much more work, so we looked around for our box from Mezco's Mystery Box Sale from last fall, and found a few more items to include as prizes. February 23, 2012 - We've got another batch of pictures from the Diamond Select Toys booth at New York Toy Fair 2012 -- and this time it's Mobile Action Xtreme! The rescue-themed Minimates line is back for a third go-round, and this time it's not Toys "R" Us exclusive -- that's right, MAX is going nationwide! In addition to showing off the third wave (with new Arctic and Night Ops sets, and new Soldier and Smokejumper paint schemes) DST showed off the updated Armored Personnel Carrier (now with battle station conversion) and debuted the second animated episode of Mobile Action Xtreme! Check out the episode and the new toys here! 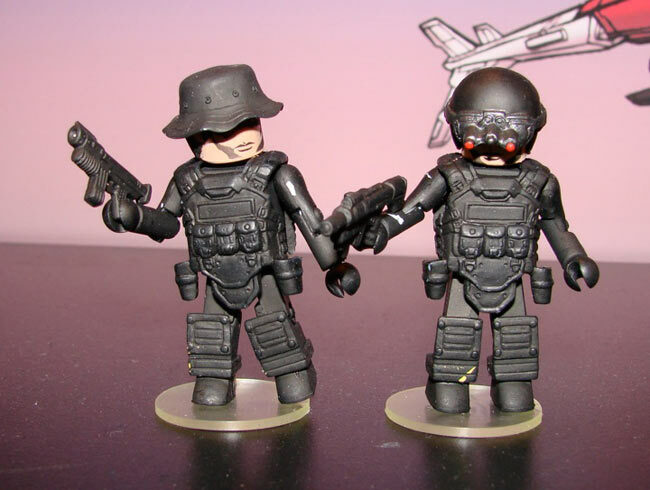 And for more on both, visit Minimates.com! NEW YORK, Feb. 22, 2012 -- The 109th American International Toy Fair opened its doors to colossal crowds last week as nearly 27,000 industry professionals from more than 100 countries converged in New York City to scout 100,000+ fun and innovative products at the largest and most successful U.S.-hosted toy trade show to be held in recent years. 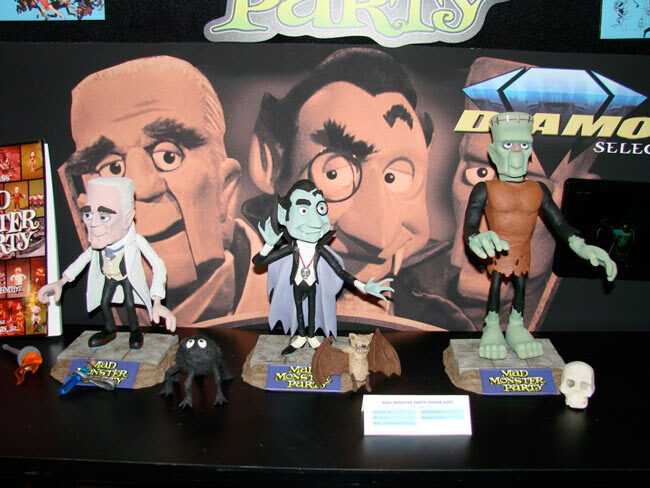 Owned and operated by the Toy Industry Association (TIA), Toy Fair 2012 welcomed increased attendance across nearly all categories, including a 3% increase in buyers, a 5% increase in international participants, a 14% jump in licensors and a 23% surge in entertainment executives. Total attendance during the four-day show was 26,730... a 2% increase over last year. Hatfield, PA - February 09, 2012 - K'NEX, the only US construction toy company focused on Building Worlds Kids Love™, is pleased to announce several new introductions to its line of officially licensed building sets inspired by Mario Kart™ Wii, one of the most popular titles for the Wii™ console. The new building sets are designed for Young Nintendo® fans ages 6+, bringing the fun of Mario Kart Wii to a new generation and expanding its appeal through a rewarding, age-appropriate K'NEX building experience. In addition, over 65% of the parts used in the line, including the track system, are American made. February 21, 2012 - New York Toy Fair is over, and the Diamond Select Toys booth was a whirlwind of activity the whole time, thanks to a bunch of cool new license announcements, as well as some great reveals from their existing lines. Since the show isn't open to the public, Diamond Select was nice enough to send over some shots from around the booth, the first batch coming from their section dedicated to the Marvel universe! Check out the pics attached, including their new offerings from The Avengers, The Amazing Spider-Man and Marvel Comics! Hatfield, PA - February 09, 2012 - K'NEX, the only US construction toy company focused on Building Worlds Kids Love™, is pleased to introduce its first line of officially licensed building sets inspired by Angry Birds, the #1 paid app of all time. Young Angry Birds fans will soon be able to build and play with characters from their favorite app including Red Bird, Yellow Bird and King Pig. The new products combine the award-winning K'NEX building system with beloved characters from Angry Birds, bringing them from the smartphone to the construction aisle for the first time!